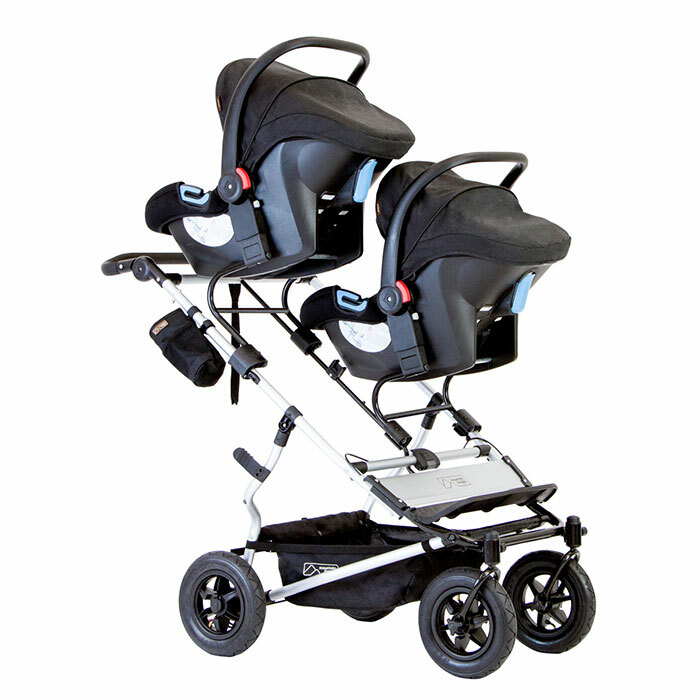 Introducing Duet, the compact side-by-side pushchair from Mountain Buggy. 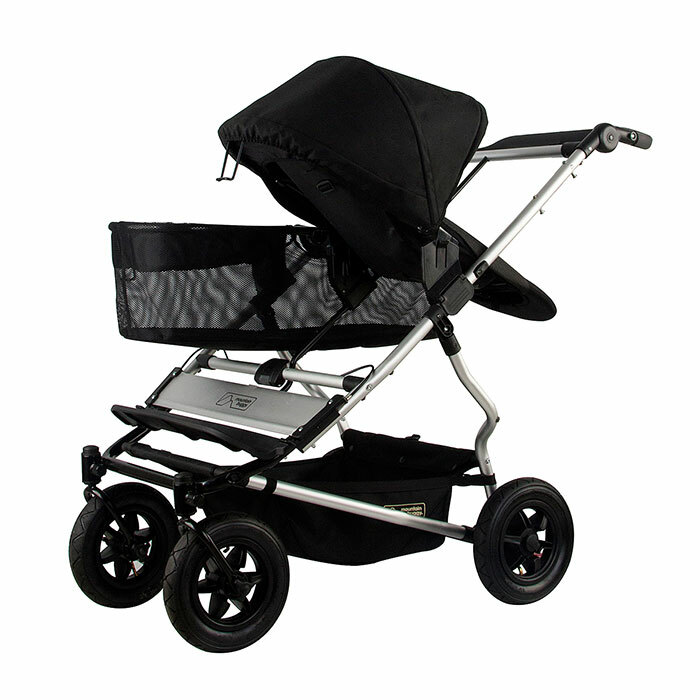 Cleverly designed and engineered at just 63cm slim at the wheel base, Duet is no wider than a single buggy. The Duet is very easy to manoeuvre, has a one hand-fast fold, is free-standing, and is the perfect convertible buggy for first time parents. It transforms into a single buggy with the additional accessory, joey. 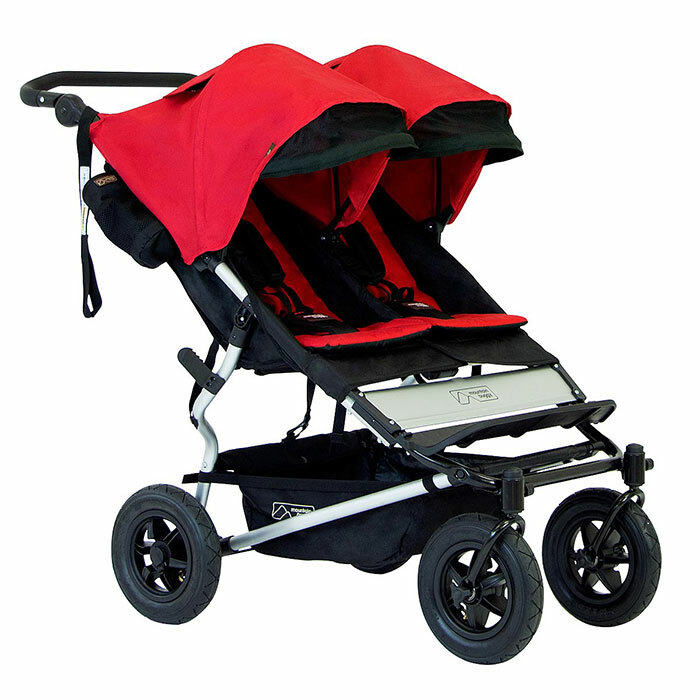 The Duet can also take dual travel systems or dual carrycots making it the perfect buggy for twins. The seat liners are wipe clean and reversible and there are multiple recline positions to make sure your little ones are comfy at all times. The swivel wheels lock, handy for long stretches of road, and there is a shopping basket so you don’t have to struggle with lots of bags. 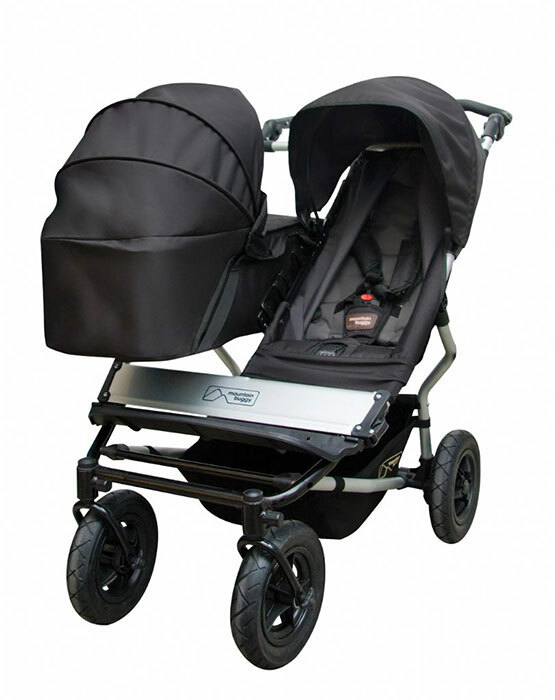 The rear wheels have suspension for a smooth ride and the hood now has a UPF 50+ so they’re protected from the sun. There is also a black underside providing extra cushioning.